Base Shadow Brush: This brush works in applying a flawless eyeshadow color base across the lids. I also like using this to set powder on top of concealer and sometimes, on top of a matte finish lipstick for color payoff longevity. The brush head is a little bit flat and dense enough to pack a good amount of product. Deluxe Crease Brush: I find this crease brush a tad bigger than what I’m used to. It has a soft rounded and fluffy tip that blends sharp eyeshadow lines that will help you achieve a perfect gradient color effect. I also love using this brush in applying concealer because of the buffed finish it provides. Accent Brush: This brush has a nice tapered cut that will allow you to smudge eyeshadows below the waterline. It also helps in applying eyeshadows and highlighters in hard to reach areas like the inner and outer corner of the eyes. I also use this to apply highlighter on my cupid’s bow. 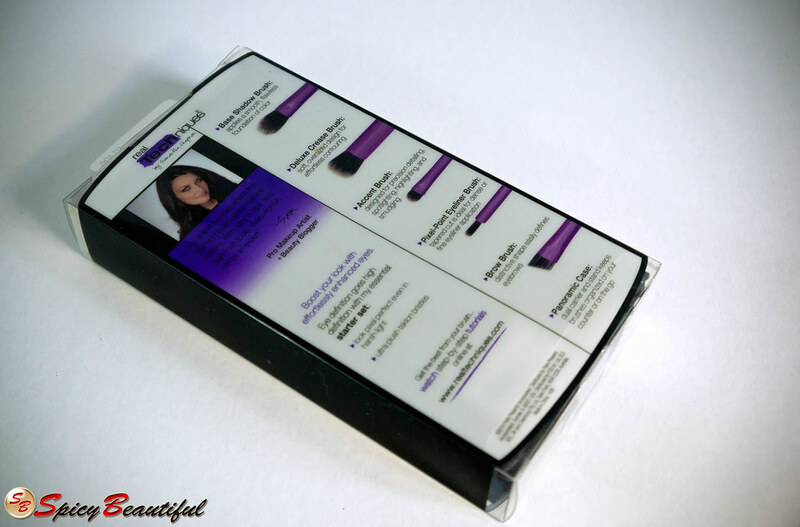 Pixel-Point Eyeliner Brush: This is my favourite brush in this set. Its pencil-shaped tip is designed to apply gel liners with precision from the inner corner of the eyes all the way to the outer corner for that perfect winged eyeliner. Brow Brush: Just like the deluxe crease brush, I also find this one a little big. This angled brush applies brow powder so well that it defines eyebrows beautifully. Sam mentioned in one of her videos that it can also be used as an eyeliner brush (just like most angled brush can do) but for me, it’s too dense to be able to apply a fine line. 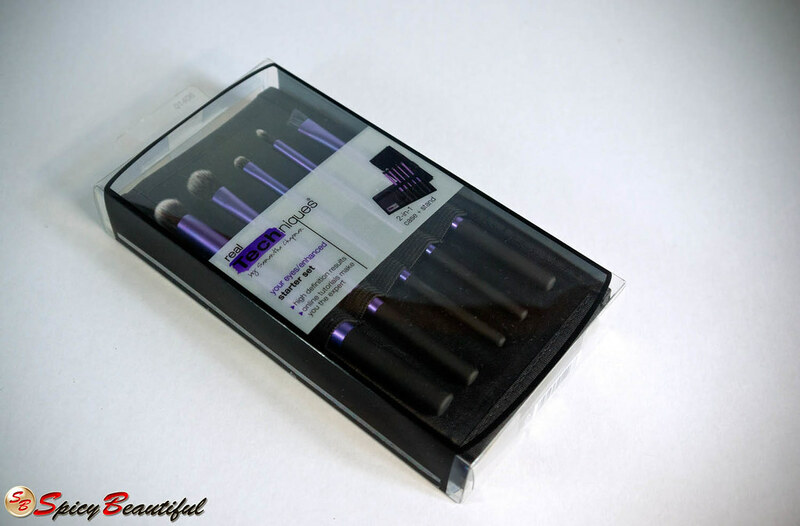 The Real Techniques Starter Set is housed in a panoramic brush case that works as a carrier and a stand. 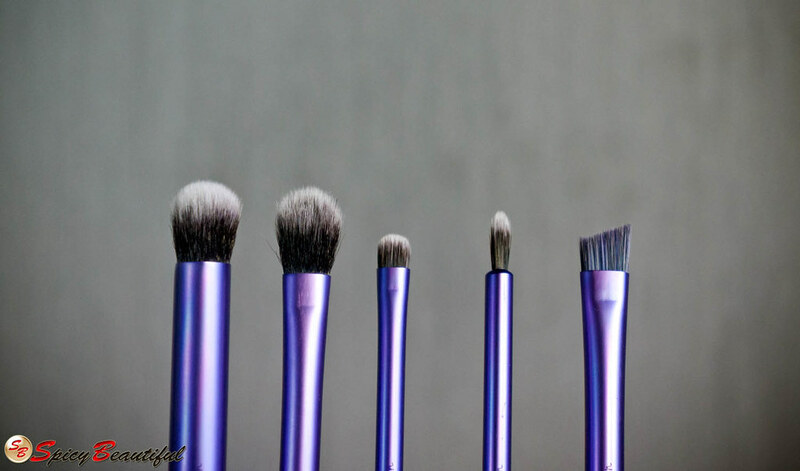 All brushes are hand-cut, made using synthetic taklon bristles and are 100% cruelty-free. These brushes look very stylish (and feels lightweight) because of their purple aluminum handles and rubberized ends. I’ve been using these brushes for almost a month now, washed them many different times and I haven’t noticed any shedding at all. Plus, they dry quickly too. Overall, I’m loving all the brushes from this set. For only $18.00, you get 5 high-quality brushes that can create any makeup look you desire.